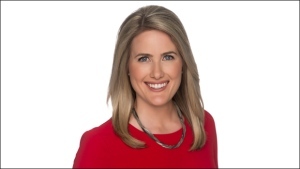 Heather Butts joined CTV News Atlantic in 2017 as the late night producer and anchor. Since becoming a journalist, Heather has worked as a reporter, anchor, and lifestyle show host at stations in Ontario and British Columbia. When she had the chance to move to the East Coast for a position with CTV Atlantic, she says it was an opportunity she couldn’t refuse. Heather grew up in the Toronto area and spent much of her childhood at her family cottage in Kinmount. This period of her life helped to shape her love of the outdoors and sense of adventure. Heather believes it’s why she still enjoys being outside as much as possible. After graduating from high school, Heather studied Media Studies-Journalism at University of Guelph Humber. Her first job after school was at CHEX Television in Peterborough, Ont. Heather has always enjoyed working with members of her community and sharing their stories with viewers. In the summer of 2018, after a year of anchoring late nights at CTV Atlantic, she moved to early mornings on CTV Morning Live. Although she’s a self-proclaimed “night owl,” she loves helping Atlantic Canadians start their day on a positive note and is having a great time working with her morning co-hosts. When she’s not working, you can find Heather on the water, hiking a trail, or on one of the local ski hills. Her favourite Maritime adventure so far has been exploring the Cabot Trail.